It’s been a bit springy in Switzerland lately. And while the skiing is more than fine activity still – thanks to the amounts of snow we’ve had this winter – the warm sunny afternoons in the patio get the mood quite summery every other second. And so – as the restless person I am – I’ve been wondering where I want to return to and where I want to go for the first time this summer. To hike the alps, run the trails and climb up the mountains (Especially the latter, because it’s about a time I start to really work for my alpinist goal.) Simply because going to the Swiss mountains on my two feet is my favourite outdoor activity. 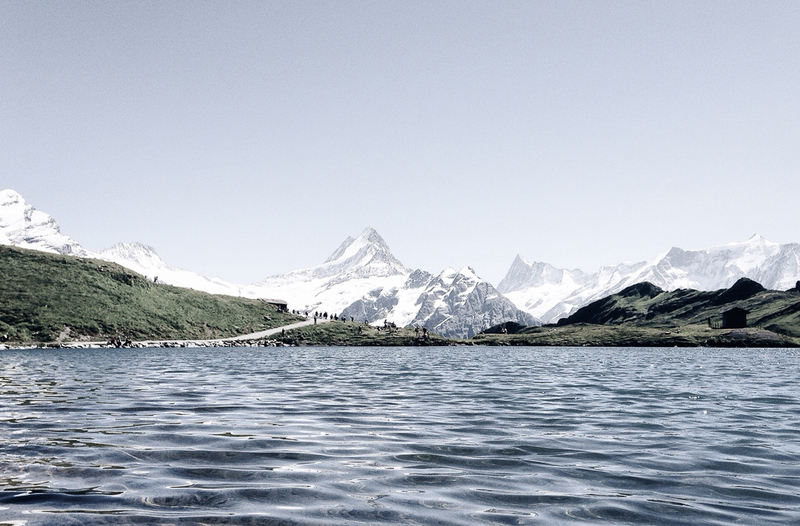 And because recently I’ve also gotten a few questions on the best hiking destinations in Switzerland for this summer, I’ve collected the following list to help you to choose your destination for the summer. And so – in no particular order – the best hiking destinations in Switzerland (according to yours truly) are Alpstein in Appenzell, Jungfrau Region, Zermatt, Engadin (Sankt Moritz) and Ticino. Read on for information and inspiration. But please, do note that I haven’t been everywhere (it’s on my list though). Therefore, I might not even know the really best destination in Switzerland (feel free to comment below if you think I miss something). Nevertheless, I can promise I have myself liked very much hiking in all of the mentioned destinations, and I have returned many times to most of them. Therefore, I do think the list is kinda valid. All of these destinations are also reachable by train and all of them offer variety of hospitality services to choose from if and when needed. I’ve mentioned the closest SBB stop by name, and especially if clicking the links further to my longer stories of each destination, you’ll find further recommendations and tips for the destination. Let’s start with my regular hiking spot in the summer of 2018. Alpstein in Appenzell in the eastern Switzerland doesn’t exactly belong to the Alps, yet you may very well see them from the higher routes of the massif. Highlights in this area (and very famous from Instagram) include the lake Seealpsee, Berggasthaus Aescher-Wildkirchli, Lisengrat and the panorama from Hoher Kastein. To experience the highlights and have a great hiking tour, Alpstein offers you a variety of routes to choose from. The several cable cars in the area also save your knees from the steep downhills and make hiking with children and others with limited mobility more pleasant. The easiest way to the Alpstein hiking trails is to take the Appenzeller Bahnen train to Wasserauen and continue from there to Seealpsee (about a 1h hike), in example. Another good starting point in the area is the top station of Hoher Kastein cable car (reachable from Brülisau (kastenbahn) with a change from the Appenzell bahn to post bus in Weissbad). You may also start your hike from the top of Säntis (reachable by cable car from Schwägalp) or make any of these your hike’s destination. From all of the mentioned, well marked trails for all levels continue all around the Alpstein massif past magnificent views and good restaurants and guesthouses with local specialities. And for the add ons to your Alpstein hike, check the Appenzeller Whiskytrek and make a little detour through Appenzell for the local Appenzell beer (Brauquöll) and Appenzeller cheese (Schaukäserei). And if the sceneray isn’t enough for the eyes, there’s also interesting museum in the town – Kunstmuseum Appenzell. 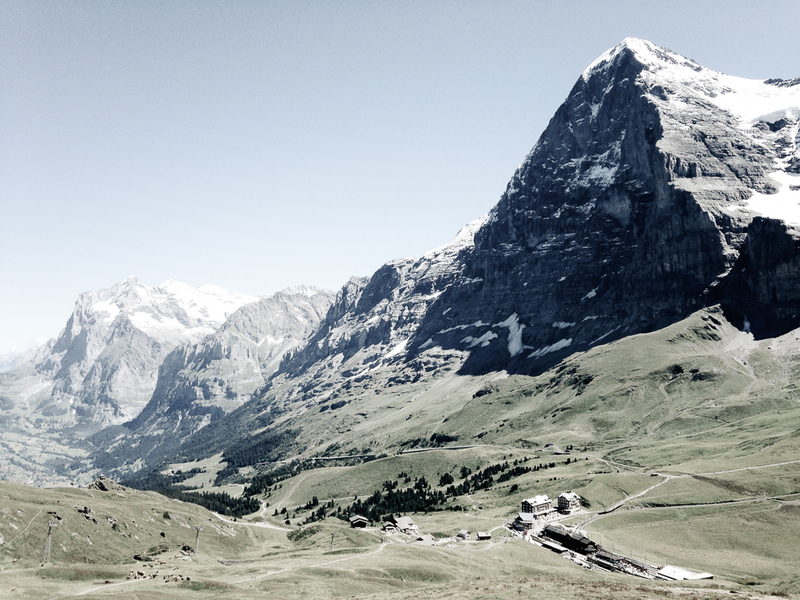 I’ve been lucky – like really lucky – to have been lived in Jungfrau Region for a year. It’s a magnificent place and in my less than objective – yet repeated by many – opinion it offers the best mountain panorama in the Alps. And more than plenty of hiking routes to choose from (one summer season wasn’t enough to try even half of them). Therefore, I have many hiking recommendation for this area especially (seen under the menu category ‘Jungfrau Region‘, though above mentioned ‘Appenzell‘ doesn’t come far behind). In Jungfrau region – if you’re into the Instagram famous and the bit more demanding routes – check especially the Augstmathorn on the north side of Interlaken. Or combine your hike with a very vintage train ride up to Schynige Platte from Wilderswill, from where you can continue up to the Faulhorn and then down past the Bachalpsee (a dip allowed) to First cable car station, from where you may take the cable car down to Grindelwald. Or start in the Laterbrunnen side, where you may take the uphill route via Bryndli from Mürren to Schilthorn and from there the cable car back down (see more information behind this link). Moreover, if you’re more on the more good views less extreme, start from Lauterbrunnen and admire the magnificent valley with plenty of waterfalls. Then hike along the famous Lauberhorn downhill route (or the Jungfrau Marathon track) past or from Wengen up to Kleine Scheideggen, below the famous Eiger north face. From where you may also find good restaurants and trains going to three directions, one of them all the way up to Jungfraujoch, and the two others going back Lauterbrunnen and to Grindelwald. This is the one with the magnificent Toblerone Matterhorn and iconic Zermatt village itself. With many famous stories to tell of the pioneers, heroes and tourists of mountaineering. And a good hiking destination too. Though free destination reachable only by train, foot or helicopter makes Zermatt a nice and quiet place only in theory. Therefore, be prepared for tourist crowds in the village and on the most famous and easiest trails, especially during the busiest summer holiday months. What’s good in Zermatt though – as in many Swiss destinations – most of the crowds stay in the main streets of the village and/or in the mountain tops reachable by trains and cable cars. So if and when you’re looking for solitude and less crowded mountain trails, there’s also plenty to experience in Zermatt too. But be prepared to see some effort and take the less traveled trail. For starters, I would recommend the trails from Zermatt village in the direction of village of Z’mutt (excellent place for a lunch btw) and the Schönbielhütte (2694 m). On the Gornergrat side of the village, there’s also nice trails all the way from the village to Gornergrat or other way round. Shorter variations available too. And of course, when in Zermatt, you can and maybe even should take the train up to Gornergrat. 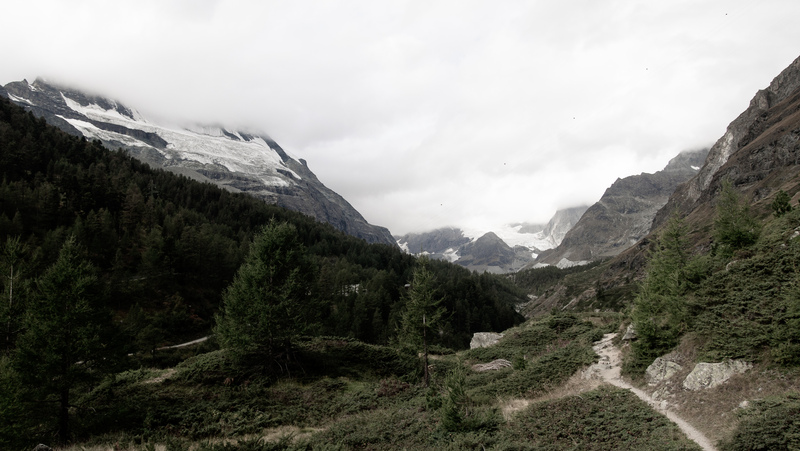 From there, you find the magnificent Gorner Glacier and Matterhorn views. And a good starting point for shorter and longer hikes. First of all, the region of Graubünden where the valley of Engadin (Sankt Moritz) is situated is a huge region offering excellent outdoor possibilities – hiking included – in almost every corner. Nevertheless, as I’ve only been really hiking there in two places – Pontresina and Piz Beverin – and since Engadin is simply the best in there, I concentrate on this valley. And there really is a a lot to choose from even just in this valley – according to the official visitor website a network of 580km hiking trails. Quite remarkable, isn’t it? For a day tour in Engadin, I suggest you to check Pontresina and the trails passing Paradis Hut. As there’s both excellent views to the valley and glaciers and peaks like Piz Bernina (4049m) and a nice restaurant and sunny terrace for a proper break. Psst. 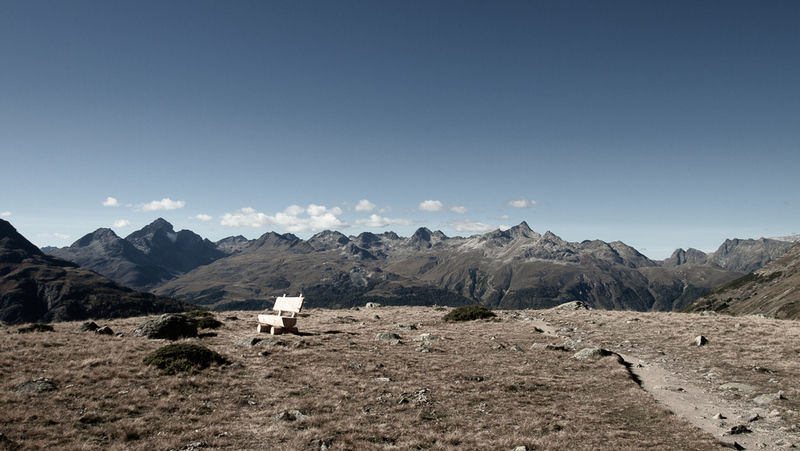 Engadin also offers famous resorts like Sankt Moritz for old school luxury hiking. And for the new luxury, there’s a good variation of remote mountain huts and mountain inns and spa hotels to choose from, and to be combined with a multi day hiking tour in the region. And while in Graubüunden, you will also find the town of Chur to combine your hiking with an idyllic town stroll (and visit to the nice Bündner Kunstmuseum), and the Swiss National Park. And most importantly, an enormous trail network all around the region, to combine a hiking tour for a day or two. Or even a week. Finally – like the perfect after meal espresso – there’s always sunny Ticino region. For hiking, southern european flair and after hike pizzas in Italy. You may also expect this to be a good place for hiking especially in early summer and late autumn, when other parts of Switzerland are rainy and chilly. It’s also easily combined with a trip to Italy, to lake Como or city break in Milan. 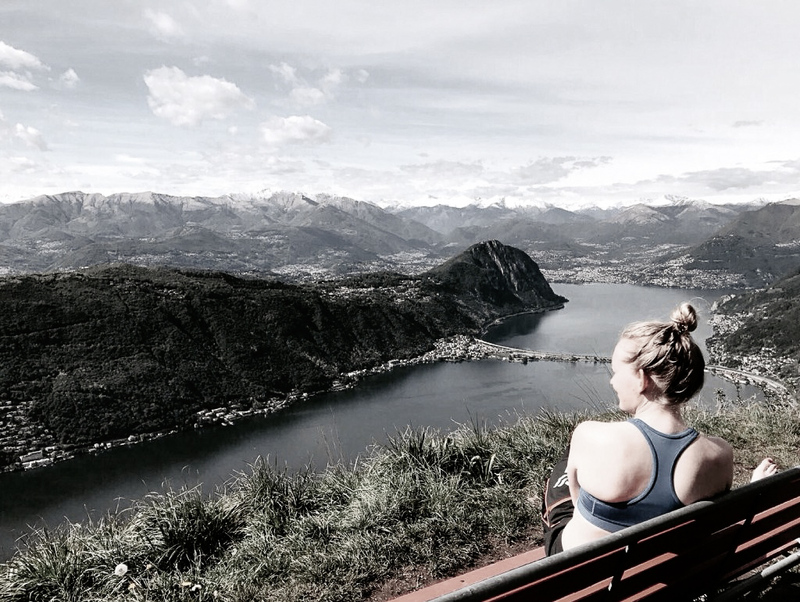 Simple, start by taking the train to Lugano and continue by foot or bus to the trailhead of your choice. Recommended hike in there – from which the above mentioned views (minus the half naked yours truly) – is Monte San Giorgio. And recommended food any pizza on the Italian side.